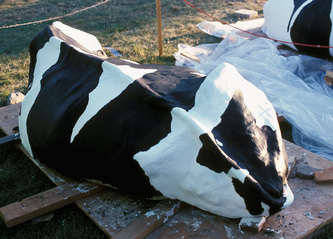 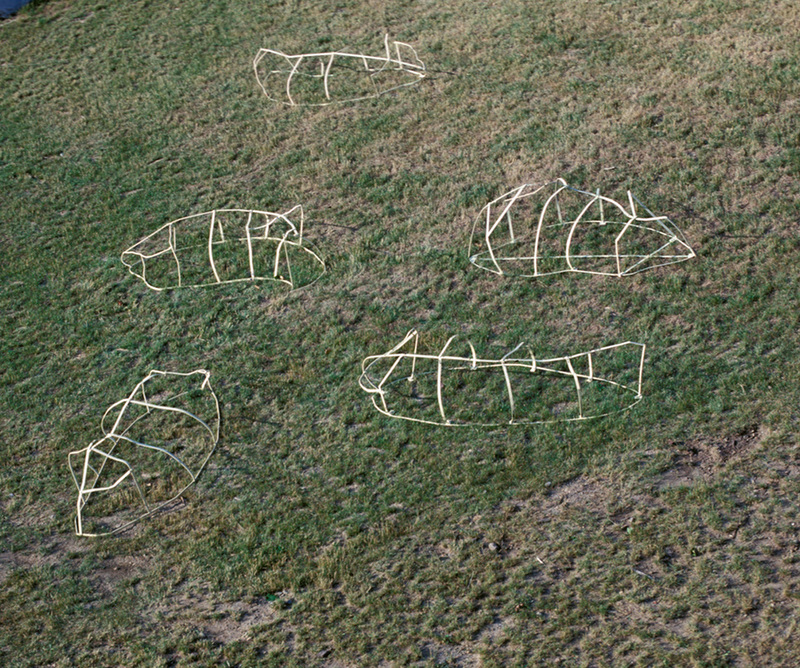 Five boulder-like structures resembling life-size Holstein cows were fabricated, using steel skeletal-like armatures and slabs of unfired clay and painted with an acrylic skin. In July, they were trucked (in a rather rag-tag parade) in 5 vehicles out to an area known as the Spoils Pile, at ArtPark, Lewiston, NY where they were "let out to pasture" for a duration of approximately 3 months. Because of the temporary concept of ArtPark residencies, I chose to use unfired clay which by its nature would be quite vulnerable to the weather and would break down and eventually be absorbed into the ground. 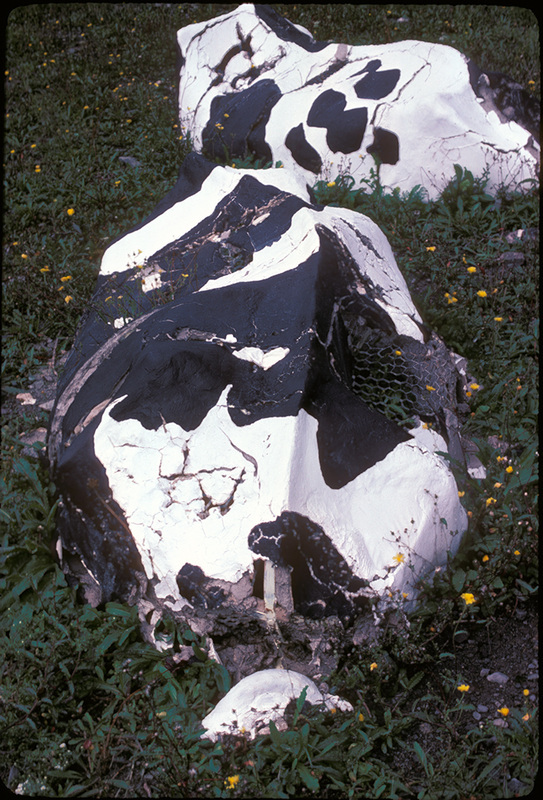 Since the clay was coated with acrylic paint it started to disintegrate from the inside of the structures and although they remained distinguishable as cows, they gradually changed shape, leaving the acrylic skins clinging to the skeletal armatures, resembling gaunt deathlike animals. 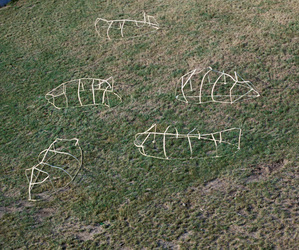 This concept came from my daily encounters while driving around in Massachusetts farm country where I lived at the time. Many pastures were studded with large boulders, sometimes dense trees, and always a scattering of cows. 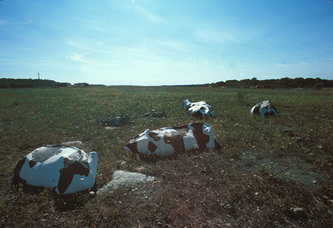 Sometimes I was unable to distinguish the cows lying down from the boulders.